Get notified when Country Thunder tickets are available! 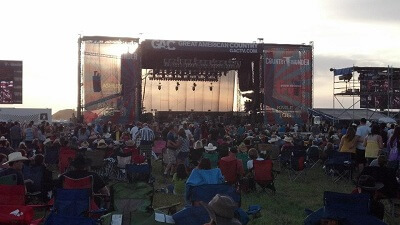 Country Thunder is a concert series that brings live country music to venues in the United States throughout the year. The concert series is produced by the lifestyle brand Country Thunder and draws 80,000 to 125,000 attendees for each performance. Typically, Country Thunder takes places over four days. Typically, there is one Country Thunder performance held in Florence, Arizona, in April, and one performance held in Twin Lakes, Wisconsin, in July. If you would like to attend one of the Country Thunder events this year, you can check out the concert dates above and use the links to buy your Country Thunder tickets online.